In running getting and maintaining an efficient gait has a substantial impact on your health, performance and long-term enjoyment of the sport.. Footbalance custom insoles support your feet properly to help you improve biomechanical efficiency for better endurance, shock absorption and injury prevention. Misalignment in the feet and ankles affects overall body alignment and efficiency, negatively affecting stability, shock absorption and propulsion. The impact of each foot striking the ground in running is equivalent of three to five times of your body weight – or more! Feet in misalignment do a poor job of absorbing this impact, unnecessarily stressing the shins, knees, hips and lower back. As you run this is repeated at every step, which can cause stress injuries, pain and excess wear on joints. Similarly, feet in misalignment are less stable and do a poor job of transferring energy. During propulsion energy that should be directed toward the ground is lost leading to wasted motion. Overall performance and endurance suffer. 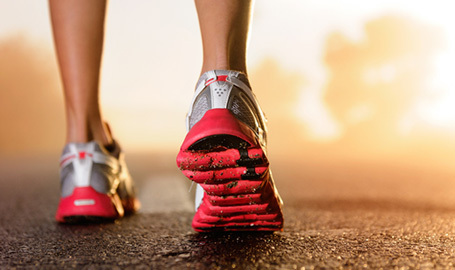 Get Proper Support and Alignment with Footbalance Insoles: Footbalance insoles support your feet in proper alignment for better shock absorption, more efficiency and improved injury prevention.